There have been over 1,500 police encounters since the Yogi government took over in March 2017 and 60 ‘listed criminals’ have been killed in these encounters. LUCKNOW: Vivek Tiwari, area sales manager of Apple Inc., was shot dead by a constable of Uttar Pradesh Police past midnight on September 29, when he was going to drop a colleague to her house in his SUV. They were returning home after a product launch event. A young woman studying medicine in Meerut was abused, slapped and punched by three police personnel, including a woman constable, for allegedly dating a Muslim boy. A video of the incident went viral. These are just two recent examples of high-handedness of UP Police that have left the state government red in the face and at a loss of words to explain its policy of giving a free hand to the police to tackle crime. 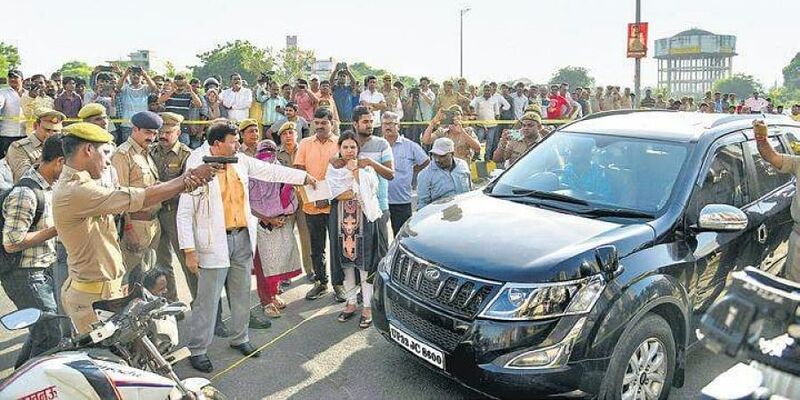 Chief Minister Yogi Adityanath’s repeated assertion that “goli ka jawab goli se diya jayega (a bullet for a bullet)” to warn the criminals has ostensibly emboldened the police so much so that they have become totally brazen. Already under attack for a spate of encounters since the Yogi government came to power, Tiwari’s cold-blooded murder and attempt to hush up the case initially has tore UP Police’s reputation to shreds. Initially, the police claimed the constable had fired in self-defence. But realising the sensibilities of the case, the entire state machinery got into damage control mode as it was not possible to pass it as another ‘encounter’. Although state DGP O P Singh says the policemen involved in the above-mentioned instances are not brand ambassadors of state police, they have done enough damage to the force’s reputation. Vocal support by a section of constabulary to the accused policemen in the Tiwari case has made things worse.The case has not only put a question mark on the Yogi government’s ‘encounter policy’ but has also brought under the scanner large-scale recruitment of constables done by the previous Samajwadi Party government without any screening and proper training in 2015-16. There have been over 1,500 police encounters since the Yogi government took over in March 2017 and 60 ‘listed criminals’ have been killed in these encounters. UP also has the dubious distinction of recording nearly 300 deaths in jail and nearly 100 in police custody every year. “The government has been openly defending these encounters. Thereafter, it becomes very difficult to segregate between genuine and staged encounters. Besides, thousands of constables were recruited in 2015-16 without any written test and proper training and they have been issued guns for patrolling. Prashant Chaudhary, the constable accused of killing Tiwari, belonged to the same batch,” said a retired IPS officer. With instances of police high-handedness piling up, questions are being raised whether a force with such a reputation deserves UPCOCA. Experts say the promulgation of the Uttar Pradesh Control of Organised Crime Act will equip police with enormous powers which may take the impudence of policemen to a new high. It’s perhaps because of this possibility that the Centre has not cleared the UPCOCA Bill pending with it for six months.